When I was a little girl, my dad would share stories of the yogurt his grandmother made in a jar without modern simplicities. Yogurt is still a refrigerator staple for my father, but the cost of buying it can quickly eat away at the thrifty shopper’s wallet. 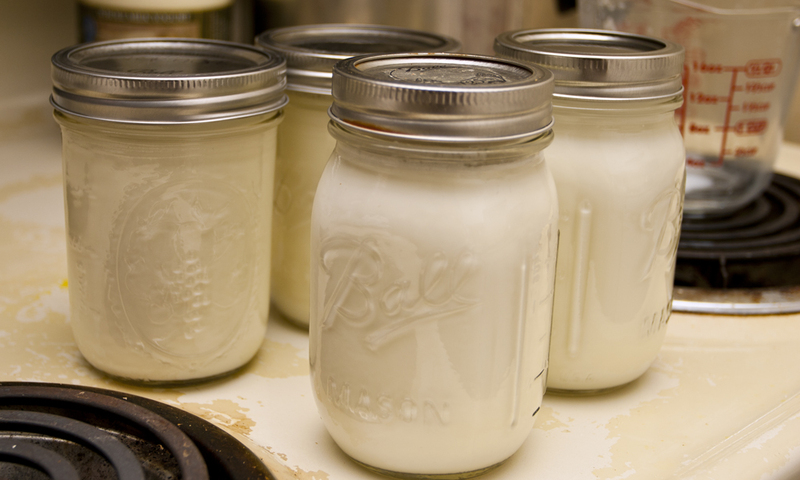 Making yogurt is not only a fraction of the cost, but is one of the few old traditions that can be made simple. 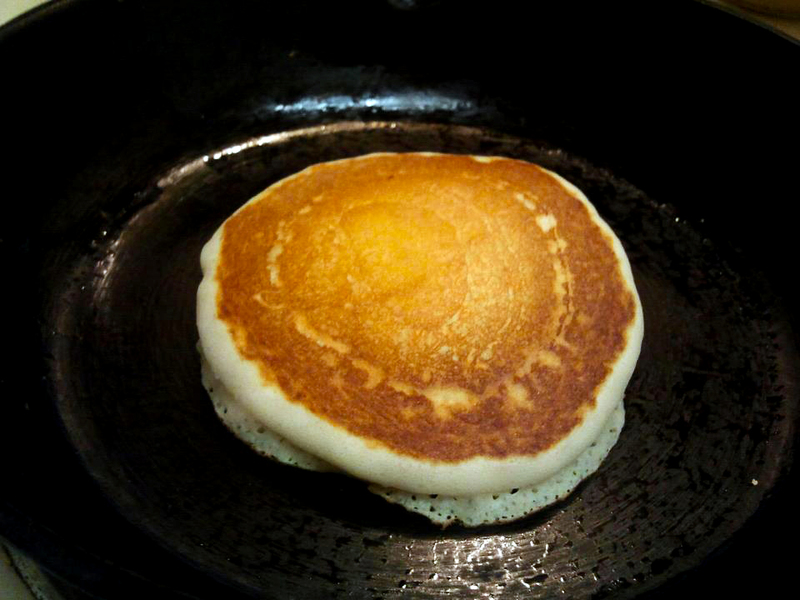 Heat the milk to 185ºF (85ºC). 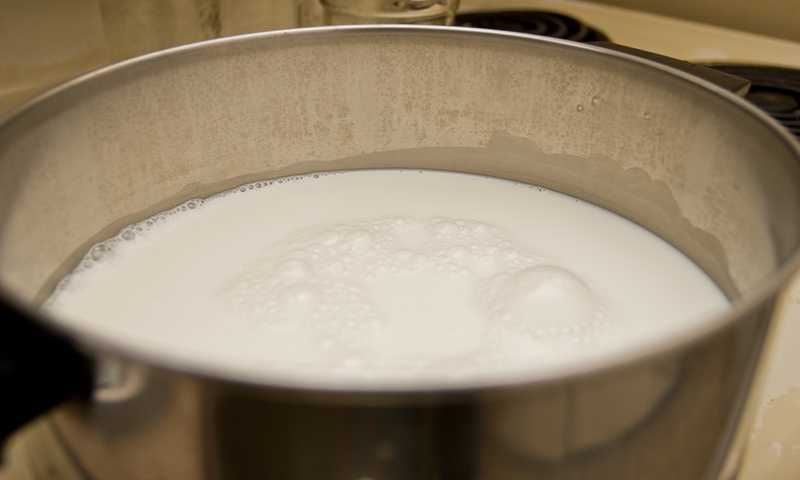 Stir frequently to prevent the milk from scorching on the bottom of pot. 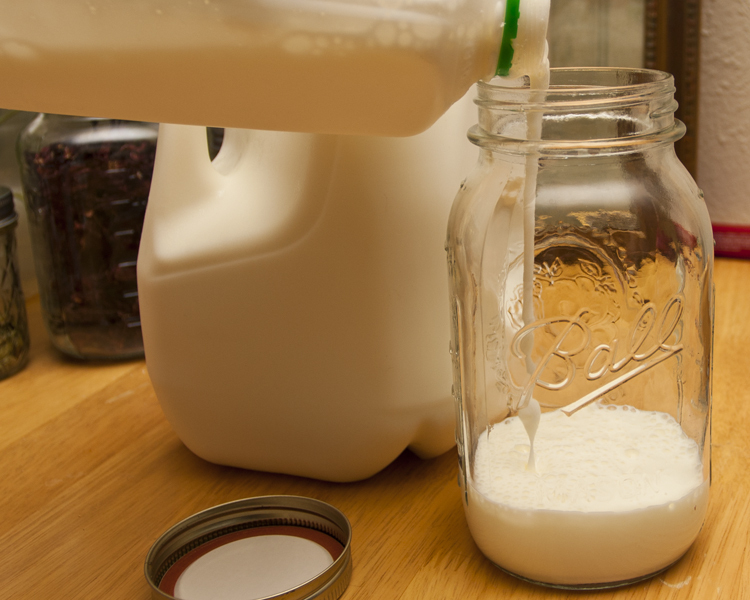 As the milk cools, powdered milk may be added (optional). The addition of powdered milk will create a richer, thicker yogurt. 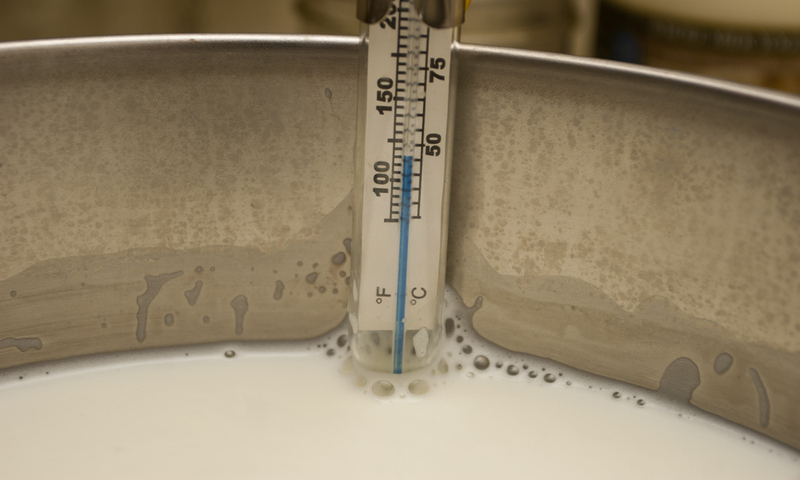 Let milk cool to 100ºF-120ºF (38ºC-49ºC). 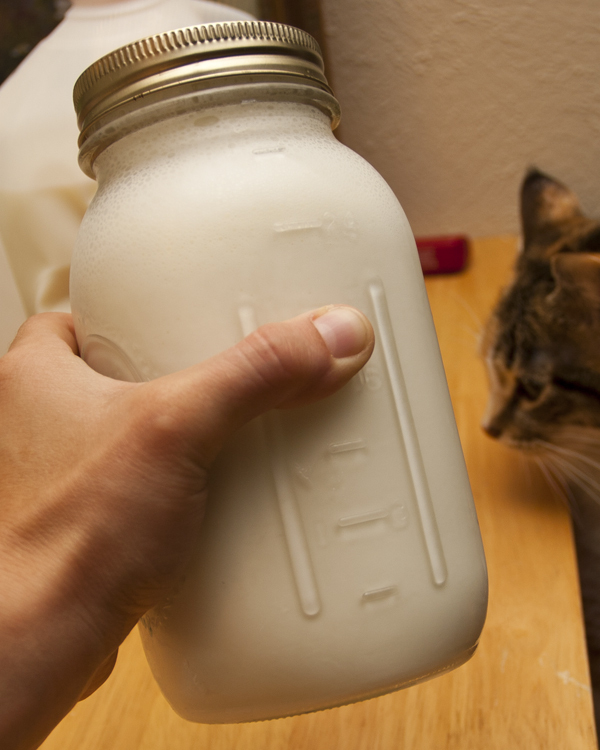 Add the yogurt starter to the cooled milk. I typically add approximately 2 tablespoons per pint of milk. 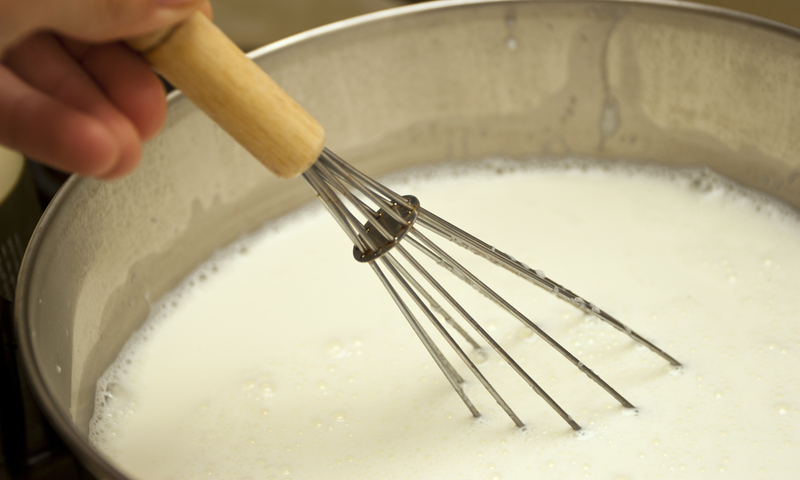 Whisk the yogurt starter into the milk to evenly distribute the bacteria. I am using a favorite yogurt brand; however, they do sell freeze-dried yogurt starters. If using premade yogurt for a starter, try to choose a brand you prefer as they all have different tastes. The yogurt must contain live active cultures and should not have any added flavors. 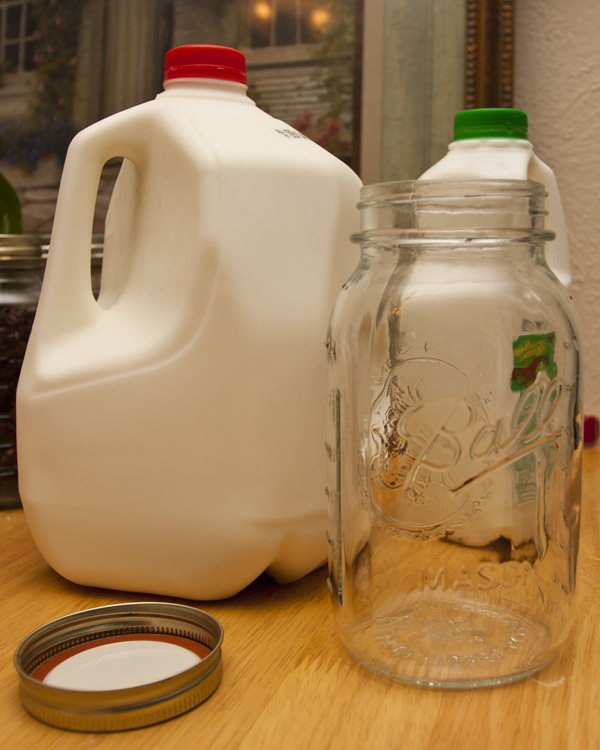 Distribute mixture into containers—I prefer mason jars to keep water out. 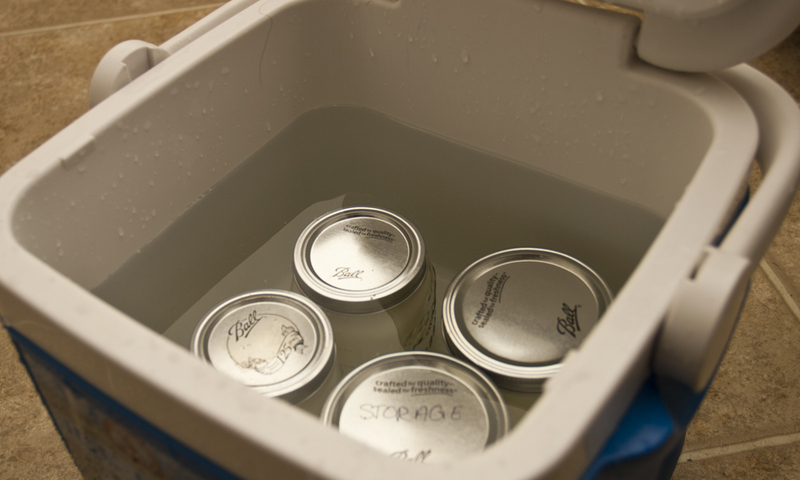 Place the containers into a cooler filled halfway with hot water (100ºF-120ºF/38ºC-49ºC). Don’t have a cooler? An electric yogurt maker, a preheated crock pot wrapped in towels, or sunny window sill work as well. Let sit for 6-12 hours, or overnight. I prefer to leave mine overnight, but I recommend rechecking the temperature of the water-filled cooler to make sure the proper heat is being maintained. 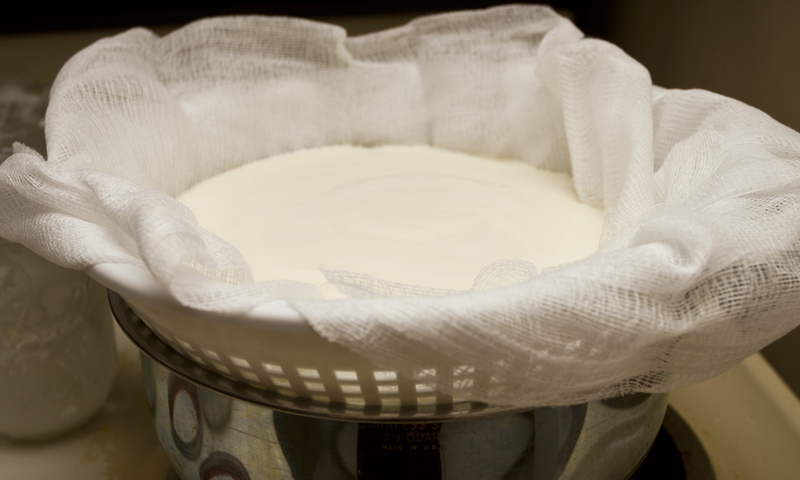 Strain the yogurt in cheesecloth until desired consistency is achieved. Alternatively, use a white kitchen rag or towel. Whey will drain from the yogurt as it thickens. 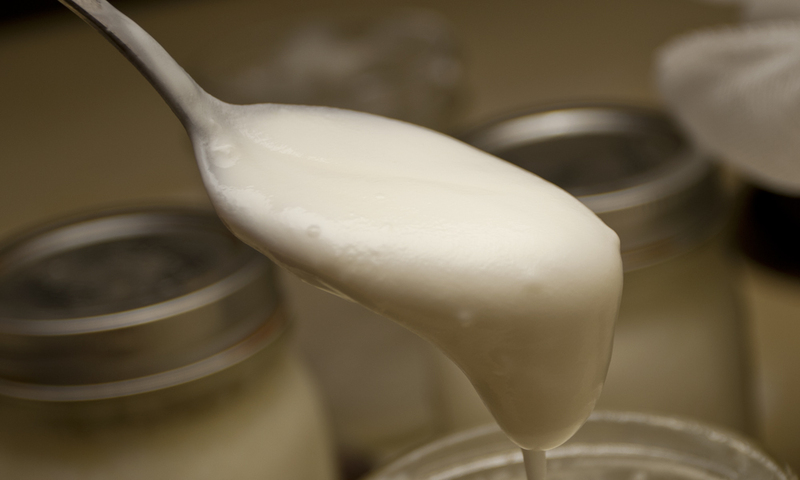 Want to make Yogurt Cheese? 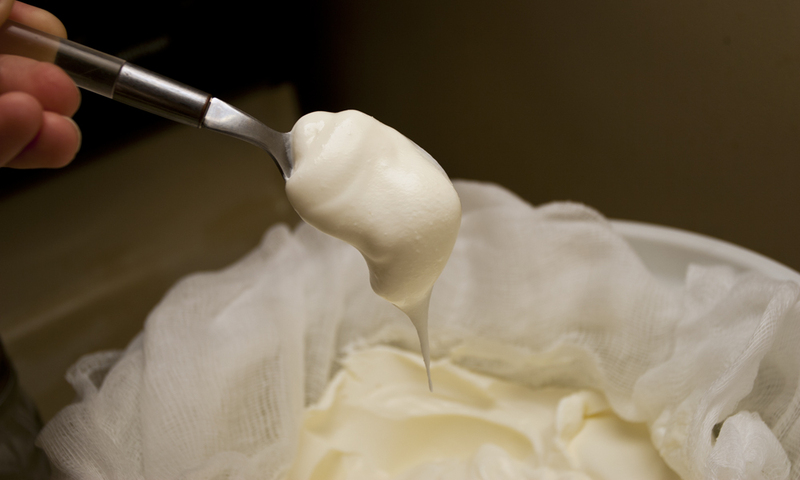 Yogurt cheese is a healthier alternative to cream cheese and is very easy to make. 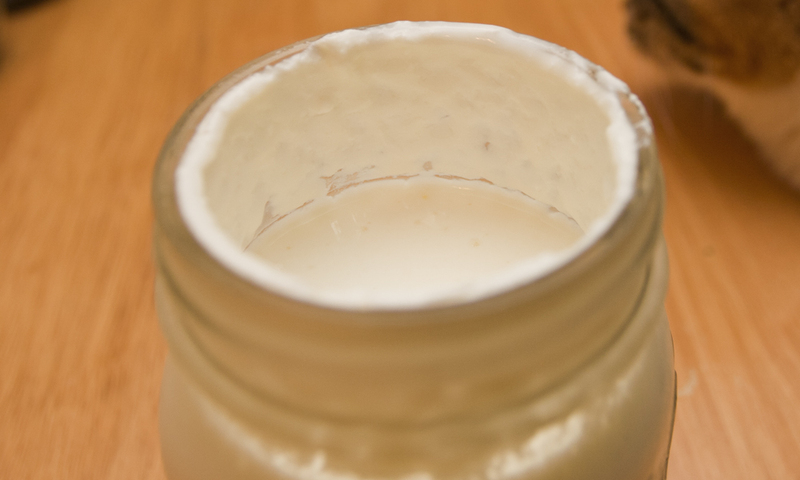 Simply strain yogurt through cheesecloth overnight until the yogurt is thick and spreadable. If yogurt doesn’t turn out and temperatures were correct throughout, try switching brands. I went through two brands before I found one that cultured correctly. Save a little yogurt to use as a starter for the next batch. 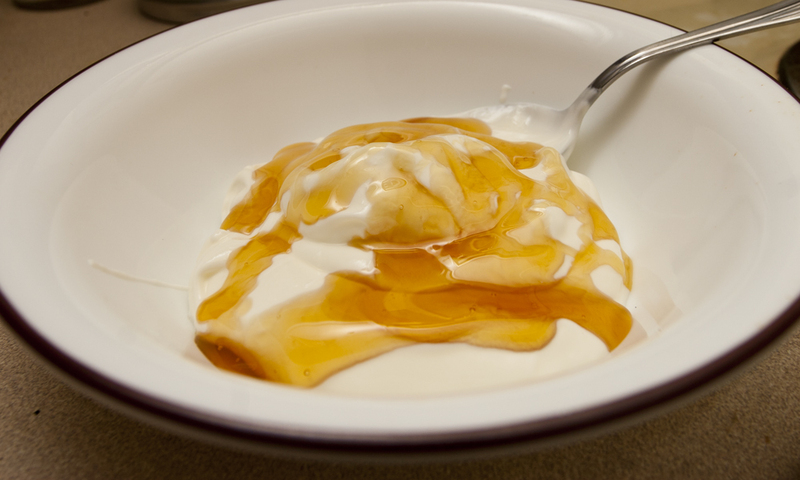 Honey drizzled over Greek yogurt. Add any flavor to taste: jam, honey and maple syrup all work well. Save leftover whey from strained yogurt to boost the health of tomato plants. 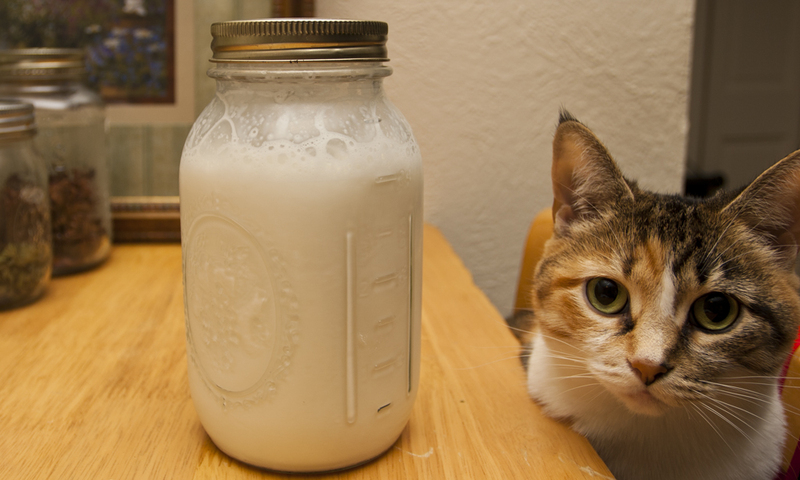 Whey is a healthy addition to any diet.